You need to think about where you are going to build your platform. This is going to be your centralized hub or digital workspace. Do you want to use Google Sites? Does your school or district subscribe to an LMS like Schoology or Canvas? Does Google Classroom offer enough perks to make sense as your designated location? Whatever you decide, not all applications are alike. You need to consider both the benefits and ramifications of using that platform. Once you make your decision, think about how you want your “course” to look and feel. This might also help you during the decision process. Do you want separate “courses” and everything to fill in like a social media feed? 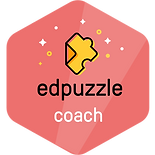 Then Google Classroom might be up your alley. Do you want one “course” but separate folders within to act as your modules? Then Schoology could be right for you. What about more creativity with images and everything on separate pages? Then Google Sites, WordPress, or Weebly could fit. Again, it’s about what you think will match what you are trying to do. In my case I use Schoology. Even though my district invests in the premium license, Schoology would have been my choice regardless. There are features within that it offers that I feel no other LMS does yet or as well. It also fits the “style” that I wanted. I wanted all my teachers to join one course, not rejoin a new course every time that wanted to complete a module. But I needed the flexibility to create the separate modules within while also monitoring and tracking teacher progress. Another benefit? It looks and feels like a social media platform on steroids. Everything sits in 1 course, multiple folders within, and fills in like a media stream. A best of multiple platforms if you ask me. This is where my teachers go for everything they need as far as online learning! So you have your platform and you’re ready to create. Not so fast! We need to think this through. We don’t just want to throw out random things in the hopes they get completed. We want the PD to be meaningful, relevant, and worth their time. It needs to be organic, and meet exactly what your school or district initiatives are. So consider them. Write them down on post-its or open a Google Doc and jot them down. Then make note of the why. Why were these chosen? What does your district or school hope to gain from these choices? This will give you a place to start and a focus for what you’ll want to build online. My district highlights 3 goals that we discuss at the end of each year and decide whether we need to change something, continue on longer, or drop prior to the next year. I highly recommend you do the same. We currently have goals/initiative listed as 1) the engaged learner, 2) differentiation, and 3) wellness. BIG ideas are easier to work with and will enable you the opportunity to plan out more specific things around them. This step is all about brainstorming. Invite others to your planning session. Meet with teachers and admin to discuss their needs, wants, struggles, and hopes. By crowdsourcing these new ideas you’re building community and designing something that is truly organic. People want to feel like they are a part of something greater. They might come in handy later when you get this off the ground and need people to start the trend. Take these new ideas and figure out how they can connect to the goals we discussed in the prior step. Mindmapping this out with an online tool is never a bad idea as well! For example, one of my district goals and initiatives is “the engaged learner”. In speaking with fellow teachers I learned that some voiced concerns that they were looking for new and exciting #edtech tools for their classrooms. So I did the legwork, looked for tools that would enhance student engagement, and built online learning modules for these respective tools. I didn’t just pick random applications. Everything should have a rhyme or reason to the why. Nothing is worse than teachers learning about something but not getting an opportunity to apply their newfound information or skill to their own classes and students. Make sure there is some form of a culminating task that has them utilize whatever it is they learned and create. By creating, they are playing, practicing skills, developing mastery, and brainstorming creative uses. The creation also gives you a way to monitor completion and gauge their comfort with the task/tool/concept. Don’t skimp on this. What’s great, is if you have them submit their work to you, you now have a way to highlight their successes and work. DO THIS! Your building relationships, fostering community and truly making this organic. It’s the icing on the cake! One thing I learned recently is that the learning shouldn’t stop with the teacher. Give them ways to share their accomplishment and skills by applying it to their classes and sharing it with their students. They need to be able to teach their students to use the tool too, or incorporate the pedagogy into their lessons. This will also differentiate for your teachers. Often times they learn something, then never get an opportunity to try it again. This gives them that option. Those who are savvy enough will follow through. Those who need more help can learn again or seek you out for more hands-on training. See where this is going? It’s buying you time to get in the classrooms while letting the teachers who have gone the extra step and chance to move on to something else. True self-paced mastery and differentiation. Don’t let the learning stop here. Feel free to incorporate a place for teachers to reach out, reflect, ask questions, and collaborate with one another. This is a powerful step that often gets overlooked. These are just some tips that I hope will get you started in designing your own self-paced mastery professional learning modules for your teachers that I use when I create mine. Now that I design, coordinate, and facilitate professional development and learning for my district, I can tell you . . . this works. 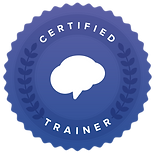 I’ve recently fully gamified my online professional development with badges, leaderboards and more. If you want to learn more, brainstorm, and /or collaborate, feel free to reach out!